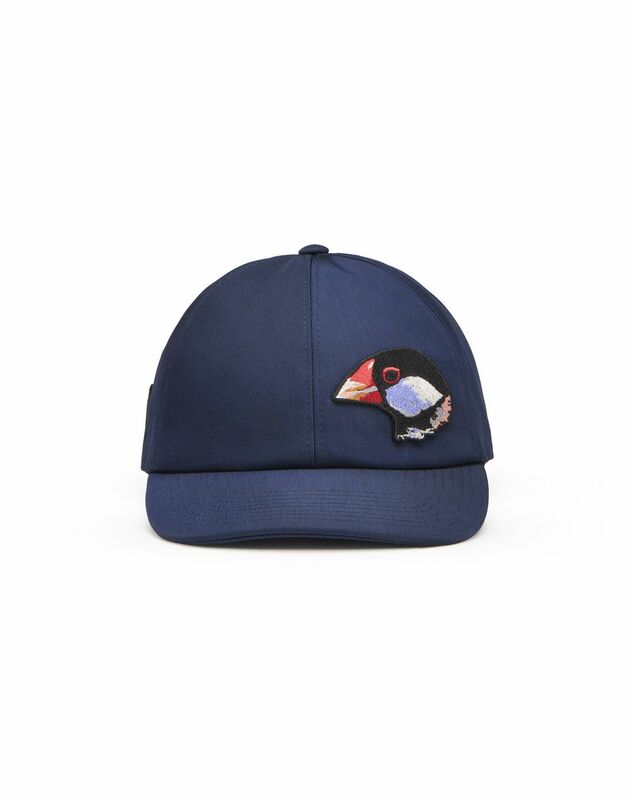 Blue cap in technical fabric, exclusive “bird” patch on the front and Lanvin logo patch on the back, tone-on-tone topstitching, and cotton lining. 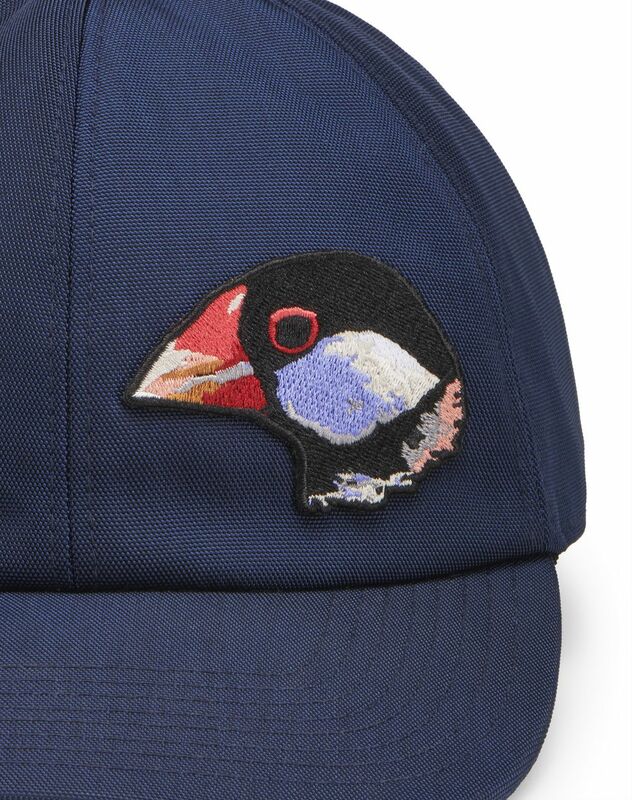 The exclusive “bird” patch, a strong detail from the 2018 Fall Collection, leaves the season’s mark on this cap. 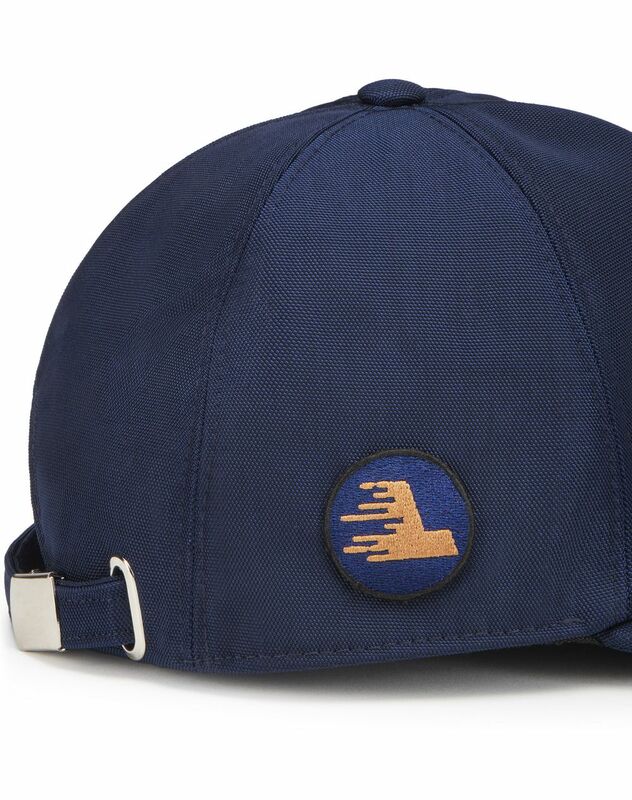 Main material: 71% nylon, 29% polyester weave. 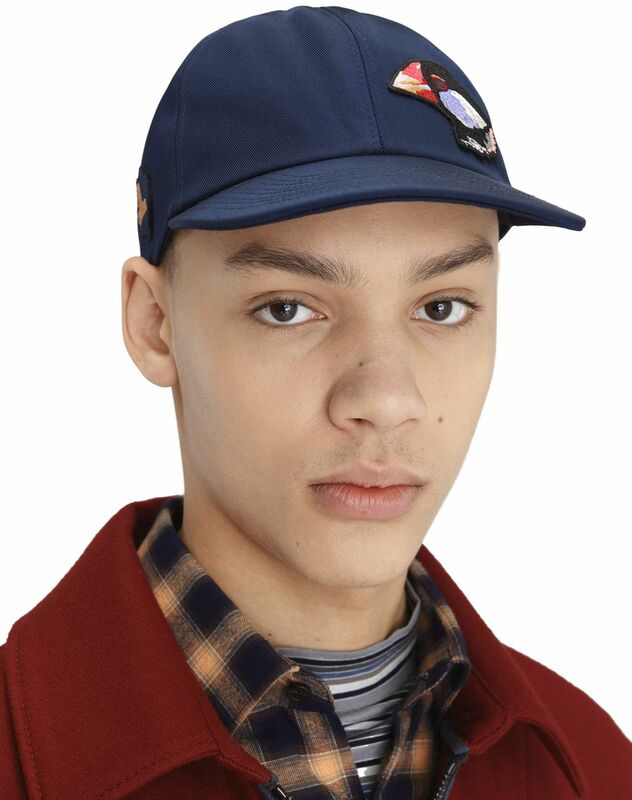 Secondary material: 100% polyester weave. Additional materials: 100% brass. Lining: 100% cotton weave. Made in Italy.